Broadway/San Diego is excited to announce the 10 Best Actress and 10 Best Actor nominees for the 2017 Ben Vereen Awards®, of which two will be selected on May 28th to compete at The National High School Musical Theatre Awards® (The JimmyTM Awards) in New York this June. 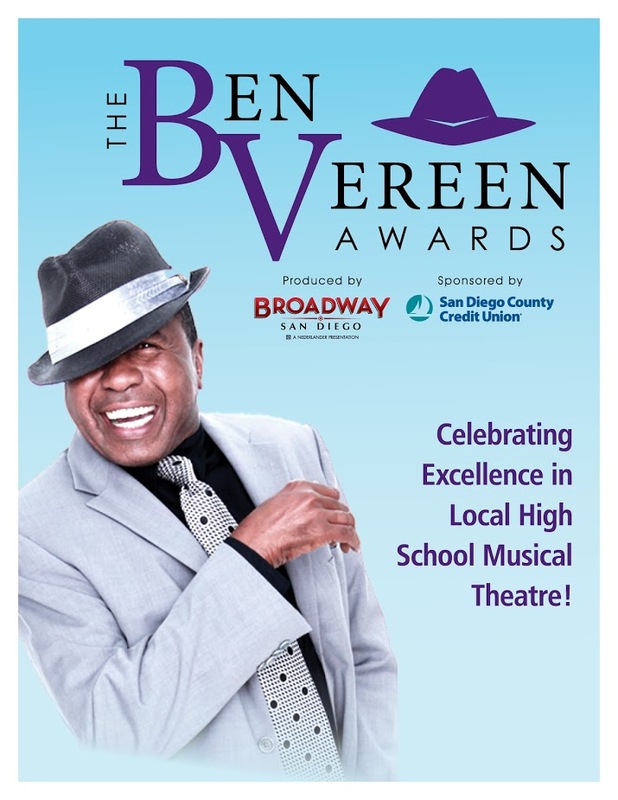 The San Diego Ben Vereen Awards® is sponsored by San Diego County Credit Union® and this, its fourth year, will also highlight the winners of the Wellness Through the Arts Essay Contest with an original musical theatre production piece. Legendary stage and screen entertainer, Ben Vereen will attend the San Diego competition to present the awards to the previously-announced winners of the Wellness Through the Arts essay contest. This year’s topic was “My Best Day” and received more entries than ever before. The top five individual winners will each receive a $500 award, and the winning school will earn a $1,000 cash award, provided by San Diego County Credit Union, and will have their work represented at the San Diego competition. Leading up to the Ben Vereen Awards®, the Top 20 nominees will take part in a week-long intensive rehearsal consisting of dance, vocal and acting workshops, as well as a master class with Ben Vereen himself. The winning Best Actor and Best Actress performers each receive $1,000 and will be flown to New York on an all expenses paid week of intensive training before they compete in The Jimmy™ Awards, at Broadway’s Minskoff Theatre (home of Disney's THE LION KING) on Monday, June 26, 2017, for the opportunity to win $10,000 towards a college scholarship. New this year – The Ben Vereen Awards, in partnership with The San Diego Association of Black Journalists, has selected and nominated Olivia Olander for a Student Reporter Contest coordinated by The Jimmy™ Awards. Two student reporters from around the country will be selected to go to NY to cover the national competition on its social platforms.